you can settle inside yourself, switch off and relax. Hof Oberlethe is ideal for large retreats. In 2017, the Celebrate Life Festival will be held here for the 12th time. Correspondingly, the seminar house has grown and has been substantially expanded based on the special needs of this festival. 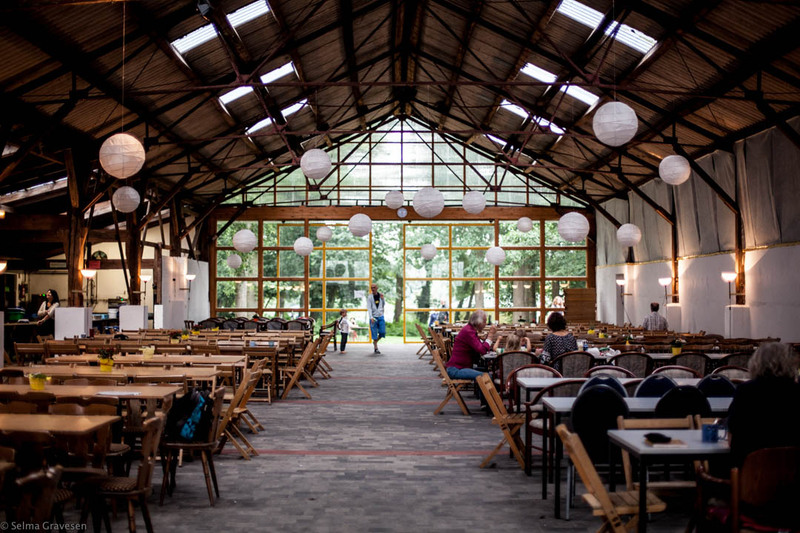 In the house and on the large outdoor area with a lake, there is space for groups of up to 1000 people in rooms of various categories, in dormitories, as well as in tents and campers. The price for accommodation and meals at Hof Oberlethe varies between € 46 and € 89 (depending whether in a tent, dormitory or room). This includes full vegetarian board and conference package. The price for children/youths is reduced, and children under the age of 5 are free of charge. 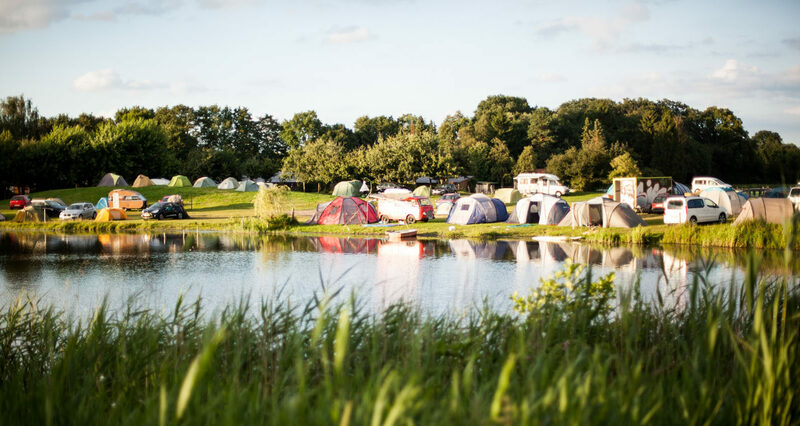 There is also the possibility to rent caravans with 2 or four beds at the lakeside. Find friends and book a caravan together. Prices range from € 350 to € 450 for a complete caravan for 5 days. 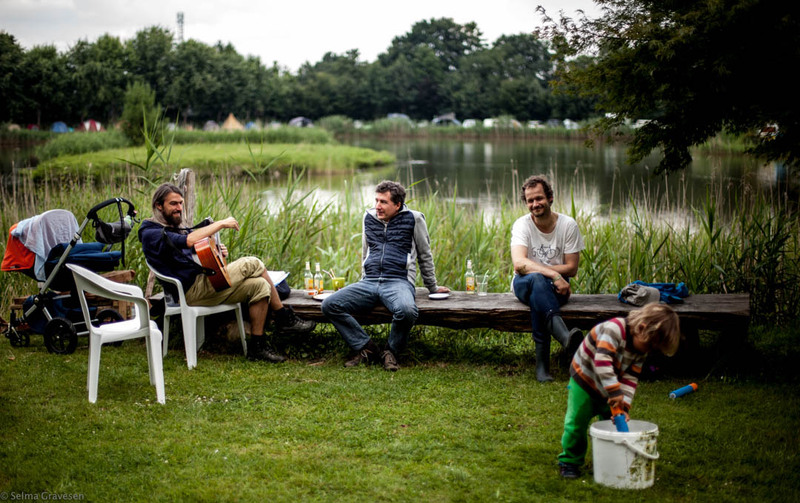 Without exception, all participants of the Festival Summer Camp pay a conference and full-board flat rate of € 40 per day per person to Hof Oberlethe. There are reduced rates for children and youths. We therefore recommend that you book rooms outside without breakfast – all meals are included in the flat rate in Oberlethe for all participants. 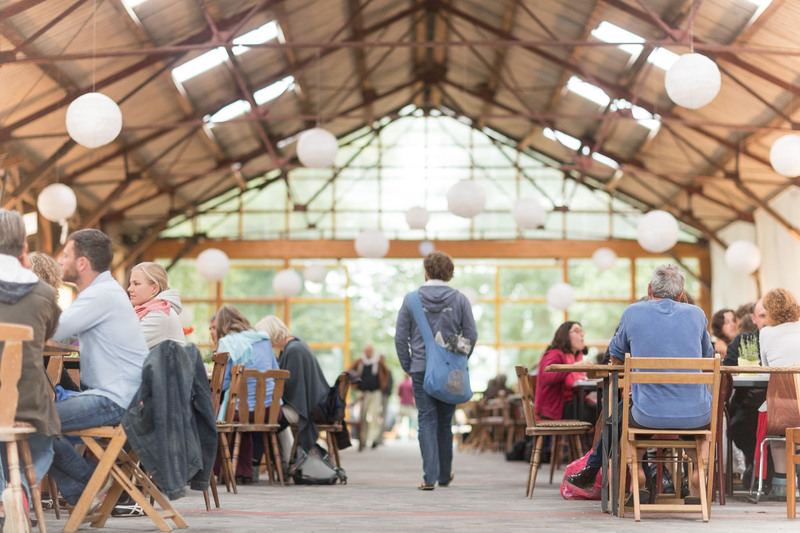 The kitchen is set up for large-scale events and conjures up vegetarian delicacies three times a day. Tea and coffee are available during the entire day and are included in the price. To the extent possible, the ingredients used are from certified organic farms (e.g. 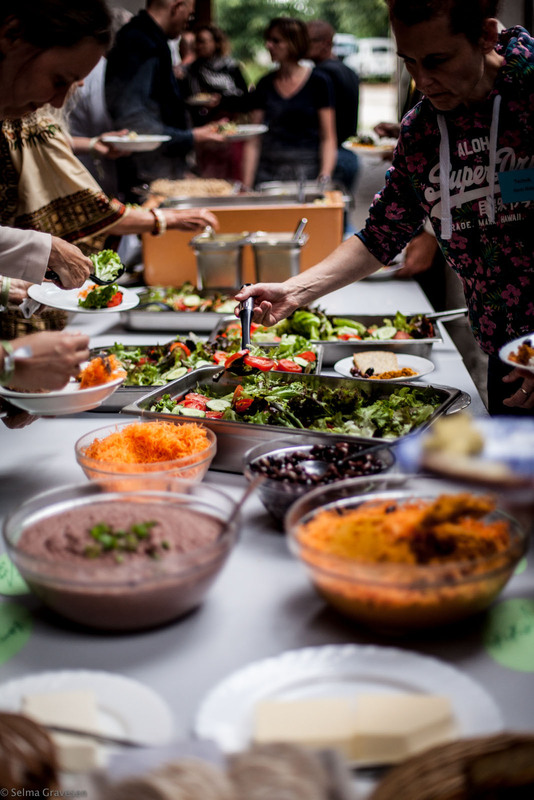 fruit, vegetables, bread, yoghurt, cakes, sorghum, muesli, rice, lentils). 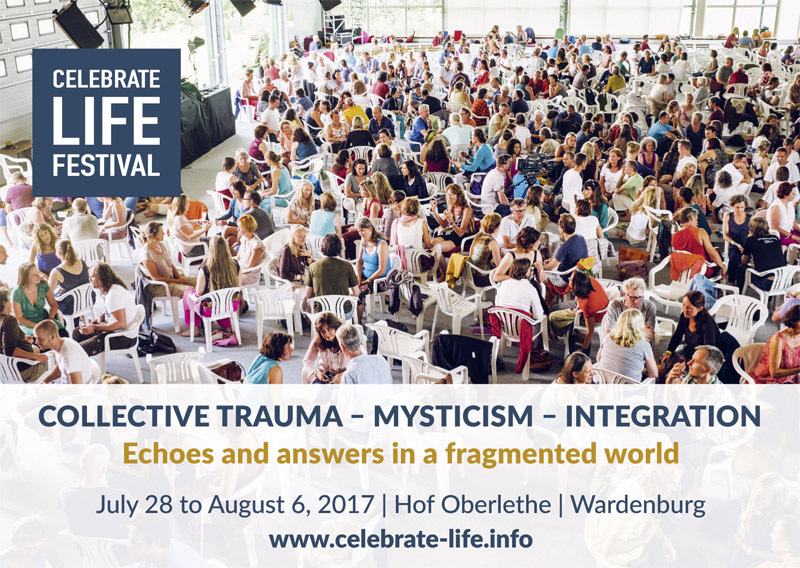 It is necessary that ALL participants (guests on the property as well as guests with external lodging) register with the Celebrate Life Festival before the beginning of the Festival by phone, mail, or on the registration website registration form of Hof Oberlethe. Attention: Festival tickets for local participation and arrival times here. Information and registration for livestream and media library here. Attention: Tickets for the festival attendance have be booked separately. Please follow this link. To download please click on motif. The Festival comes alive and lives through you! We greatly appreciate all those, who wish to support us as volunteers for hours at a time during the Festival. Please contact those responsible directly. If you would like to offer a ride, you have the opportunity to do it here. Destination Oldenburg (Oldb) HBF, main station (Oldenburg, Lower Saxony). At the main station take a bus or a taxi. Taxi (Special fare): 1 to 4 persons at the Sterntaxi approx. 20, – €, for 5 to 8 persons 30, – €, Tel . : +49 (0) 441 55555 (only on arrangement by telephone). Highway BAB 28 (Bremen – Oldenburg), at junction Oldenburg-Ost take BAB 29 towards Osnabrück. Exit Wardenburg. In Wardenburg turn towards Oberlethe/Friesoythe. After about 1.7 km (just under a mile) you find the seminar centre to your right. The nearest airports are Bremen, Hannover, Hamburg. Take the train to Oldenburg (Oldb), then follow directions above. Alternative: Taxi/Shuttle from airport Bremen. DONATE NOW! We need financial support for the implementation of the open-source online platform from the pocket project. The pocket project develops tools and competencies that combine modern mysticism with current psychological and scientific research. Through the online platform, the latest research results, practices and insights of many pocket project groups will be made available to the global public.